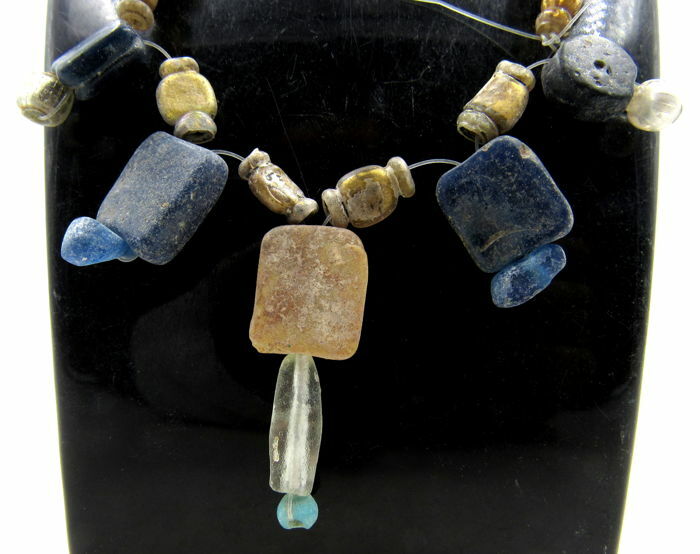 Description: Superb Ancient Roman Glass beaded necklace. 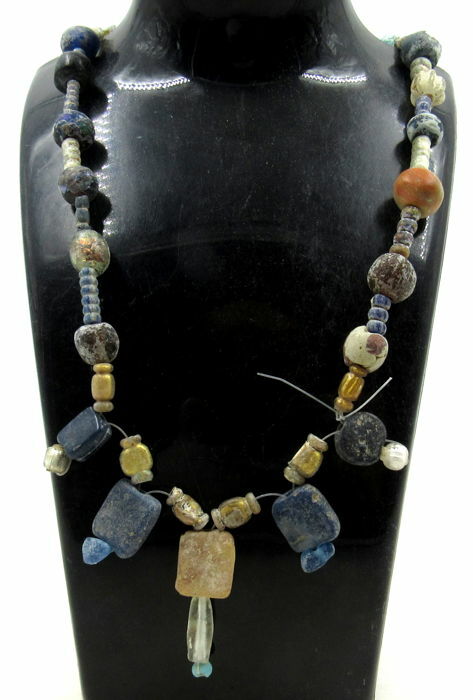 Beads show ancient wear. Restrung and Wearable. Professionally cleaned to show original details. This item includes a gift bag as well as a lifetime authenticity certificate.